Unfortunately, there are a lot of downsides when it comes to getting a divorce. 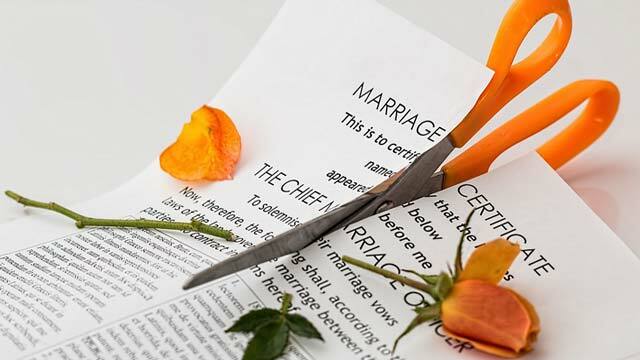 According to experienced families lawyers Davies & Co Lawyers, you might finally be free from the commitments of a broken-down marriage which was bringing nothing but pain, but remember that both partners want to get out of the relationship without losing too much property or financial assets. It is therefore important to consult decent family lawyers before attempting to split the contents of your home post-divorce. Failing to do so can result in disagreements which have to be settled by a court. Hopefully, your marriage will end on good terms and you will be able to split in an amicable and friendly manner. Unfortunately, this kind of split is rare, and will usually only happen in relationships where there has been no significant financial component – in other words, in relationships where there are few to no assets to divide. If you end up going to a separation court, then make sure that you use a good family lawyer – this can’t be stressed enough. A decent lawyer will help you achieve a fair outcome, and will leave both parties feeling ok about the court’s decision. You don’t necessarily need to go for the most expensive or the highest rated lawyer – just find a friendly one who has a good reputation. Obviously, the courts will make decisions about expensive things like boats, cars, or property assets. However, they aren’t always as straightforward when it comes to dividing household contents. The estranged couple is encouraged to work closely together to divide items between themselves. This is undoubtedly the easiest approach, and the one which should be adopted if possible. A good family lawyer can help with the division process. Some items which have particular antique value or which are obviously family heirlooms may be dealt with by the court if necessary. If a couple can’t reach a simple agreement, then the court will often try and use the two-list approach. This involves one party dividing the contents of the house into two separate lists. The other party then has the freedom to choose the list that they want. What happens if a decision can’t be reached? In the rare cases where a divorcing couple simply can’t seem to divide goods between themselves, the courts will often adopt a tough stance. In this situation, they will usually order that all of the contents of the house are to be sold, and that the money raised divided equally between the parties. Obviously, this isn’t an ideal scenario, and is one which should be avoided if at all possible. If you are in doubt or don’t understand exactly how household contents are divided in a divorce, get in touch with your local family lawyer for more information! Worried about the Financial fallout after Separation? Are Legal Disputes Threatening to Drain Valuable Assets? Is Divorce leaving you feeling Overwhelmed? Interested in Leasing your Property to a Company?